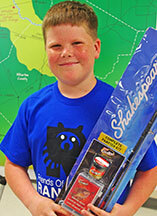 West Columbia Elementary first period fifth-grade Science class. West Columbia Elementary second period fifth-grade Science Class. Teacher Phyllis Chappell is wearing the only pink t-shirt. 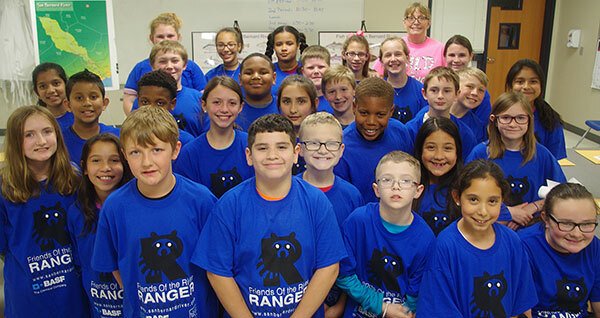 West Columbia Elementary third period fifth-grade Science class. 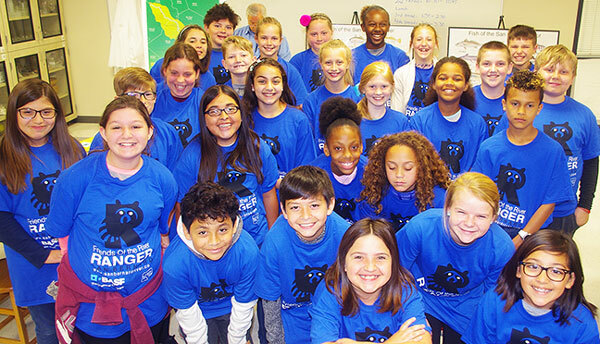 West Columbia Elementary fourth period fifth-grade Science class. 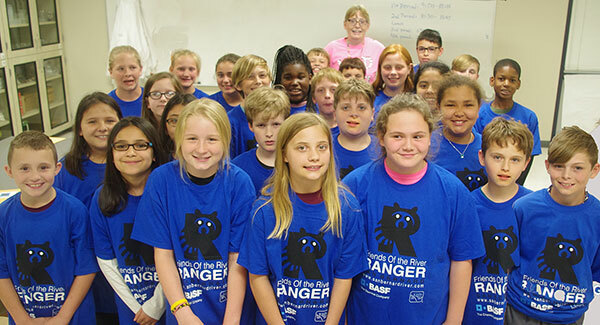 On April 16, a FOR Ranger program was presented to 121 students of West Columbia Elementary teacher Phyllis Chappell fifth-grade science classes. A discussion of the watershed and its environmental concerns was given by Ranger instructor Adalia Maudlin. Instructor Mike Goodson discussed the different fish species found in the San Bernard, after which, the students enthusiastically told their “mostly true” fish stories,. This was followed by an active hands-on session of nautical knot tying demonstrated by instructor Ken Wright. Adding an exciting finish during the last program was a school practice fire drill where everyone trooped outside to enjoy a few minutes of Spring weather. 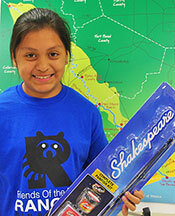 Each student received a Ranger t-shirt and a packet containing information about the San Bernard watershed. 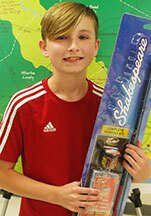 Photos of the lucky winners of a rod and reel, whose names were drawn from each of the four classes, are shown below.